Password protecting your form in Blitzen is as easy as pie. This can feature can be used for tests, contests, internal forms etc. 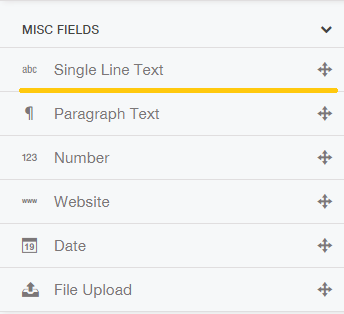 Create a new form (How to Create a New Form) and drag in a 'Single Line Text' field. Name it 'Password' or something similar (How to rename a field). Then drag in a 'Show and Hide' group below. Fill it with all the form fields you wish to appear when the password is entered. Now all we have left to do is create a rule that will show the Show and Hide group when a certain password is entered. 'Show this field if', 'Password', 'contains all' and then type in what you want your password to be. Please don't use 1234 as your password! This is merely an example. When you preview your form (How to Preview) you will only see one field (the password field). Until you input the right password none of the other fields will appear.